Book an Erxu vacation package on Expedia right now! This is by far one of the best ways to save cash and time for your epic vacation. Savvy travelers can save up to 42%* by getting a package deal on Expedia. Within a matter of minutes, you'll be able to organize everything you need for your next vacation via our enormous database. And — with more than 400 partner airlines and 321,000 properties from around the world, you'll have the flexibility to be fussy! If you change your plans, we will honor your cancellation request on nearly all bookings with no added fees. We have all the sightseeing info you need for your upcoming trip to Erxu. Grab your organizer and prepare to start topping up your itinerary. Hiking is a popular pursuit and a superb excuse to get out and discover more of the wider region. Still have some time on your hands? Cycling is another activity to put on your itinerary. Need to figure out how to make your way from Rugao Airport (RUG) to Erxu? Once you've picked up your luggage, you'll be 13 miles (21 km) northwest of the neighborhood. 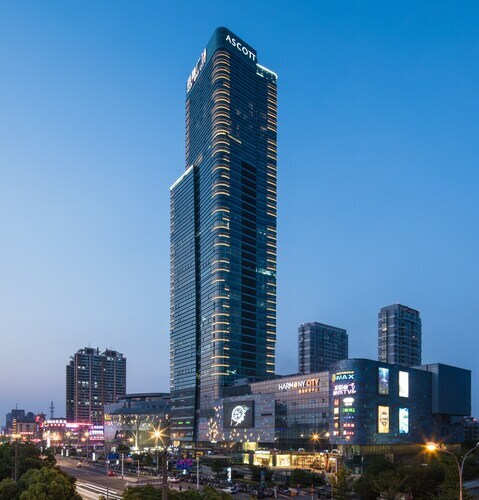 Located in Chongchuan, this luxury hotel is 0.2 mi (0.4 km) from Binjiang Park and within 6 mi (10 km) of Nantong Museum and Nantong City God Temple. 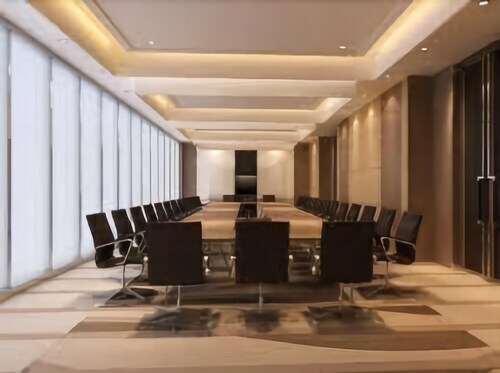 Located in Chongchuan, this hotel is 1.1 mi (1.7 km) from Nantong City God Temple and within 3 mi (5 km) of Nantong Museum and Xintiandi Waterbom Park. Tangzha Park and Binjiang Park are also within 12 mi (20 km). Located in Chongchuan, this hotel is within 1 mi (2 km) of Xintiandi Waterbom Park and Nantong Museum. Nantong City God Temple is 1.5 mi (2.5 km) away. Located in Zhangjiagang, this luxury hotel is within 1 mi (2 km) of Zhangjiagang Stadium and Zhangjiagang Museum. Jiyanghu Leisure Park and Liangfeng Ecological Park are also within 3 mi (5 km). 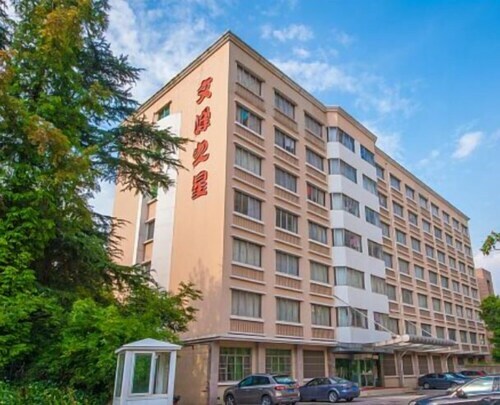 Located in the heart of Nantong, this hotel is 2.9 mi (4.6 km) from Nantong City God Temple and within 6 mi (10 km) of Tangzha Park and Nantong Museum. Xintiandi Waterbom Park and Binjiang Park are also within 12 mi (20 km). This family-friendly Nantong aparthotel is located in Chongchuan, within 2 mi (3 km) of Xintiandi Waterbom Park and Nantong Museum. Nantong City God Temple is 2.2 mi (3.5 km) away. Located in Chongchuan, this hotel is within 3 mi (5 km) of Xintiandi Waterbom Park, Nantong Museum, and Nantong City God Temple. Tangzha Park and Binjiang Park are also within 6 mi (10 km). 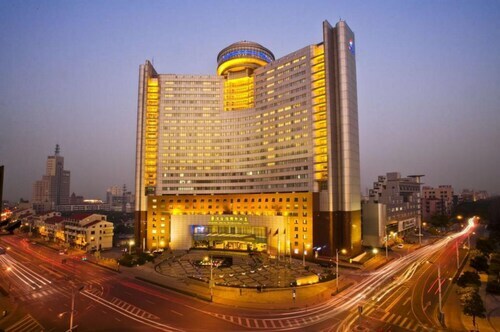 Located in Chongchuan, this hotel is within 1 mi (2 km) of Nantong Museum and Xintiandi Waterbom Park. Nantong City God Temple is 1.4 mi (2.2 km) away.